Congratulations to Lee Martin won the first place at TORCH Indoor Winter Series Rd 6 !! Round 6 of the TORCH Indoor Winter Series was held hosted by the Titchfield Off Road Club Hants this past weekend. 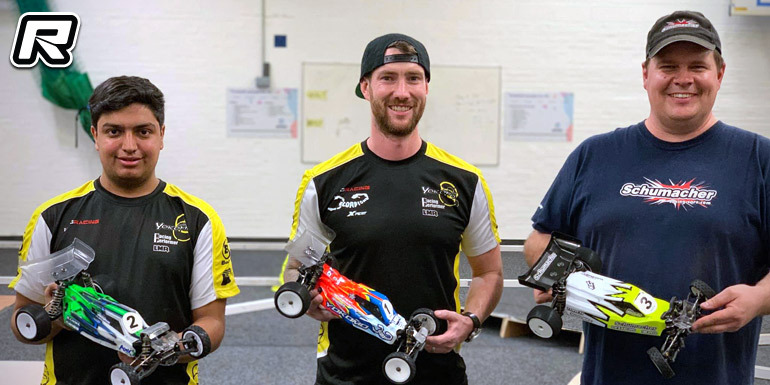 In the premier 2WD Buggy class it was Yokomo’s Lee Martin who would hold the upper hand taking the overall TQ and bringing home three straight wins in the triple A-mains, leaving behind Yasir Mughal (Yokomo) in 2nd and Schumacher driver Stephen Brown in 3rd. Overall in the championship it is Stephen Brown with the title after the six rounds, in front of Yasir Mughal in 2nd. David Burton would round out the overall top 3 championship results in the 2WD class. Lee Martin’s car Powered by Scorpion Power System.